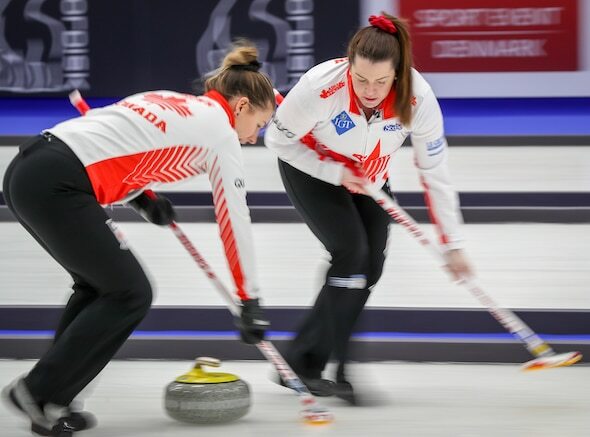 SILKEBORG, Denmark — Canada’s playoff hopes at the 2019 LGT World Women’s Curling Championship, presented by Pioneer Hi-Bred, were dealt a blow on Tuesday night at the Silkeborg Sportscentre. 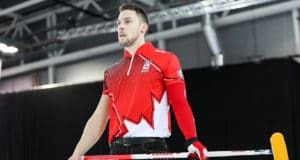 A 6-3 lead for Canada’s Chelsea Carey team from Calgary through five ends disappeared in rapid fashion as Jamie Sinclair’s U.S. team scored five in the sixth end, stole one in the seventh and prompted handshakes with a steal of four in the eighth to finish off a 13-6 victory. The result capped a tough day for Canada, which lost in an extra end to Scotland earlier in the day, and left both teams with 3-4 records — still in the hunt for one of the six available playoff berths but needing significant help (not to mention victories) over the final three days of round-robin play. The sixth end against the U.S. summed that up neatly. 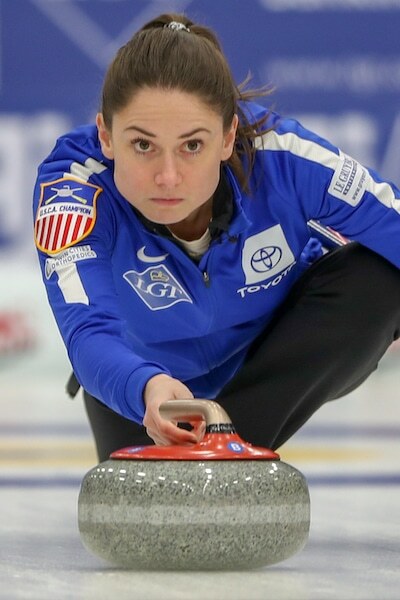 Canada, having scored a deuce in the fifth end to retake the three-point lead it had established early with a first-end steal of three, was sitting first, third and fourth in the rings with Carey about to throw her first stone of the end. But her rock would rub off a guard and promote a U.S. stone, which then took out a Canadian counter. Sinclair followed up with a double-takeout to remove the other Canadian granite and suddenly the U.S. was sitting five. Carey rebounded with a wonderful hit and roll to the button behind a U.S. guard. But Sinclair made the raise takeout to put five on the scoreboard. After the steal in the seventh, Canada spent the eighth taking all kinds of risks to get back into the game, but none panned out, and the U.S. four-ender was enough for the night. “It’s pretty frustrating to end up with a scoreboard like that when the game was really so much closer,” said Dagg-Jackson. “It’s the best start they’ve had, and that sixth end just snuck up on them in one shot. And it was tough to get out of it. Canada has a single game on Wednesday — at 9 a.m. (all times Eastern) against China’s Jie Mei. All of Canada’s 12 round-robin games are being broadcast by TSN. Go to www.tsn.ca/2018-19-curling-broadcast-schedule-1.593081 to see the broadcast schedule. 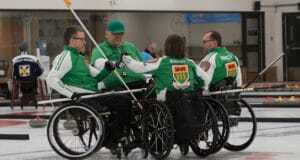 For Team Canada updates, go to www.curling.ca. Follow us on Twitter, @curlingcanada. For live scoring, standings and team lineups from the 2019 LGT World Women’s Curling Championship, presented by Pioneer Hi-Bred, go to www.worldcurling.org/wwcc2019.